The wild success of Logan – Fox’s second R-rated X-Men movie in as many years, following 2016’s Deadpool – has ignited a newfound excitement for the franchise that began all the way back in 2000 with the very first X-Men. But with that success comes a responsibility to maintain the same level of fresh, creative storytelling beyond the R rating and across the future X-Men movies that are rated PG-13. With Logan now in theaters, Fandango sat down with its producers (and longtime X-Men collaborators) Simon Kinberg and Hutch Parker to discuss the future of the X-Men brand in this new, exciting R-rated cinematic universe. Is this really Hugh Jackman’s last time playing the Wolverine character, and will the next mainline X-Men movie also be rated R? Here are the major highlights from our lengthy conversation. Simon Kinberg: We are prepping the next X-Men movie, and it’s something Hutch and the studio and I have been talking about creatively since we were in postproduction on X-Men: Apocalypse. Will Simon Kinberg direct the film himself? Kinberg: In terms of me directing it, there’s no deal and there’s no talk of that. It’s still early days. [Directing] is certainly something I would like to do. I love my job; I love writing, I love producing. My favorite thing is writing and producing the same movie. And as I think about transitioning from producing to directing, what I like is there are new challenges. I’ve been around a lot of great directors, like Ridley Scott, Bryan Singer, Kenneth Branagh and people I really respect. I’ve learned a lot from them. Kinberg: I don’t think we enter into any of these and think, this one’s going to be R and this one’s going to be PG-13. We enter it asking ourselves, what’s the best story we can tell? And then we decide, well, is that story an R-rated story or a PG-13-rated story? If there was a story within the mainline X-Men franchise that felt like it was necessary or appropriate to be R rated, that’s the conversation we would have. I think the fans expect that the movies that deserve to be and are appropriate to be R rated are going to be that way, and the films that feel like they should be PG-13 are going to be PG-13. And there may be movies down the line that feel like they want to be PG. For us, the story comes first and the rating comes second. Is the next mainline X-Men movie developing to be PG-13 or R? 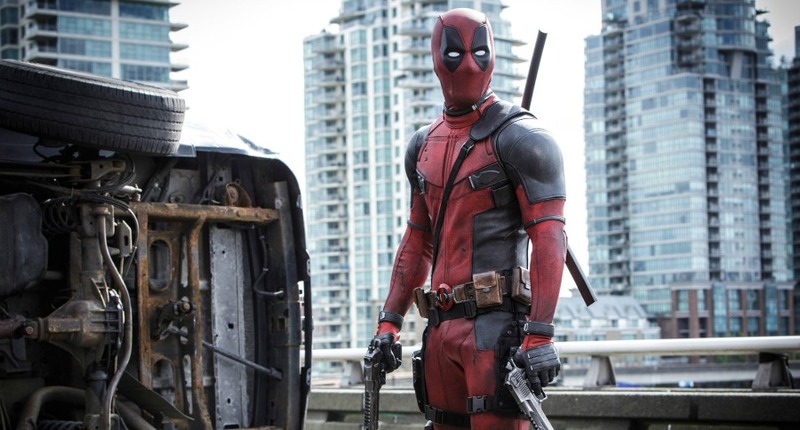 Kinberg: It’s yet to be determined, but I think it’s a story that has a lot of intensity to it but isn’t necessarily as violent – or certainly people wouldn’t be swearing in the same way that Deadpool does. So we’ll see. Will it follow the Dark Phoenix storyline? Kinberg: [Smirks] Can’t confirm that. Hutch Parker: Part of what I think is exciting is that comic book movies have so fully come of age. In the early days, there was a tremendous amount of anxiety around making sure there was a broad audience to support these big-budget movies. That day is behind us, and now there is such confidence in these stories you’re seeing. World-class filmmakers, like James [Mangold], drawn into the universe, bringing all of his superb dramatic skills to bare. Now the financiers have a confidence, the filmmakers see the opportunity, and I would even say the audience has expanded radically. They are no longer comic book movies — they are movies. Kinberg: The Fox Marvel movies have an opportunity – and it’s not a responsibility or an obligation – but an opportunity that when the stories demand it, we can make them R rated and we can make them on a larger budget than we did for Deadpool. I came of age in the ‘80s, and the action movies of my youth – the Terminator movies, the Lethal Weapon movies, Beverly Hills Cop – they’re all R-rated films, and it was normative to have these big blockbuster movies be R rated. Then somewhere along the way that changed, and suddenly it had to be PG-13 to reach a broad audience, but now it’s shifting again. Is this really Hugh Jackman’s last time playing Wolverine? Kinberg: The fans are strong, but listen. We made this movie as Hugh’s last movie as Wolverine. Certainly, that’s the way Hugh approached it emotionally, and that’s the way we feel about it when we see the movie. Down the line… who knows. I don’t think Hugh would cameo in a Deadpool movie or in a mainline X-Men movie. I really do think this is Hugh’s last movie. Kinberg: I think you have to do what in some ways you did with Deadpool, and especially with Logan, is you have to make them about the characters. Make them as relatable and dramatic and intense and real as possible. And that itself is radical. You also have to find a tone that’s different from not just the other comic book movies, but all the other blockbuster movies. You have to make them feel like it’s a different experience and tone than all of the movies that have come before it, yet also still true to the lineage of the X-Men films that we’re now seven-plus into. Logan is in theaters now.